— What is personal color? I once thought it is one’ s favorite color in clothes or the method to teach as to how to make-up faces, which is, I have found it later after talking to Ms.Kashima, quite wrong. It is like science to search for co-relation between “color surrounding one’ s atmosphere” and “one’ s mind tendency.” With these two approaches, PCA is to discover one’ s best fit color, which is an unprecedented method like physiognomy. (Hana) I am quite happy that you understand it so well. PCA is an esoteric and yet based upon a clear body of theory, so if you study it well, you can also find anyone’ s best-fit personal color. — The color of face, body or the texture of skin is all reflection of “one’ s mind tendency.” And this is the foundation of PCA. If so, by discovering several signs appearing one’ s body, you will come to know his or her psychological tendency clearly. Is this correct? (Hana) Yes, it is. Firstly by using the method of analysis of draping, a person’ s characteristic is grouped into 12 seasons ( Spring x3, Summer x3, Fall x3, and Winter x3) and each contains unique character in it which is his or her own best-fit color, in other words, she or he can feel at ease and discovers peace of seeing who they are with the color. — In this interview, I am more than happy if I could tell the readers the esoteric aspect of PCA. — Professor Kashima, you have been teaching science of color at several universities and conducting already some 10,000 PCA cases. It is this enormous amount of case studies that you can research PCA profoundly with confidence. (Hana) Yes I do. But it is not just students, but others outside of the campus for my research and I have continued to follow some cases more than 10 years so that I can discover how each personal color has been changing. — On your research, you have discovered that the Japanese has a peculiar tendency in color grouping. 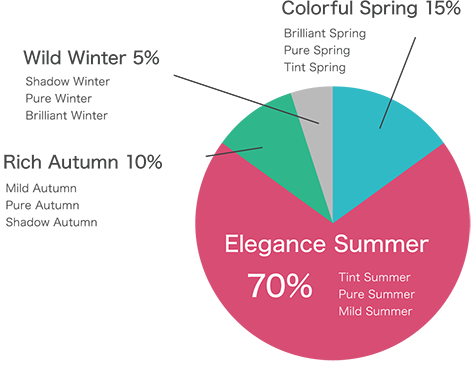 (Hana) Some 70% of the Japanese that I have analyzed are categorized into ‘elegance summer” out of 12 seasons’ grouping. It is quite a rare that there is an extreme concentration of one group in one nation. When I had a seminar and analyzed personal color of students attended and found it surprised to know that they are almost all “elegance summer,” and amazingly, this is not just one, but many occasions. Here is the distribution map of the Japanese color groups researched by Prof.Kashima. — It is interesting. Why so many Japanese as Elegance Summer? — What about other nations? (Hana) I cannot give you the exact correct answer since I do not have much PCA data of foreign countries with me for the moment, yet I may tell you that I have never found the case similar to that of Japan and if there is, I can say some 40 % concentration in any one of 12 seaosn’ s grouping in one nation. It is in Italy, some 40 % concentrate in ‘colorful spring.’ Japan or Italy is unique and you can tell the Japanese or Italian from others easily. So if you can find nations like Japan in the world, the 12 season’ s grouping will also become like Japan’ s with a high concentration in one group. — Oh I see. Japan is small islands nation and quite a rare to keep the same characters across the nation. The public opinion is often moving from one to the other in an extreme manner and some foreigners say it is like an octopus without bones. Through PCA, you can also discover nation’ s character , which is quite interesting. PCA which often causes error and how to avoid it. — There is the fact that Japan’ s concentration on “elegance summer” is not well-known and shared by others including academics. Can you tell us why and are there any aspects which cause error? (Hana) The theory of PCA is clear and solid yet it is not easy to analyze each case in actuality. Say, there are some people who have two season’ s characters out of 12 and that “neutral season” case is harder to be analyzed. In fact, you need to use other signs such as personal character, one’ s peculiar gestures, the way how he or she behaves…etc., which are all vital to make a final analysis. — Not just one’ s appearance but psychological aspects are vital to the analysis of personal color! (Hana) Yes, they are. We need to analyze the whole aspect of each case including one’ s mind simply because the way he or she behaves comes from how he or she thinks in mind, right? — Yes, and I once thought PCA is just using the method by observing one’ s outside appearance, which is wrong. You need to have a great deal of knowledge to observe others. It is not easy, isn’ t it? (Hana) You need to have many, not just hundred but more than thousands, PCA cases and the ability to observe one’ s inner strength and weakness. Also I believe Personal Color test needs to add a skill testing on the writing test. — There is no skill testing? (Hana) No. Other tests require applicants to have working experiences for more than a year or more but PCA does not ask. We need to have it so that each applicant can make a correct analysis causing no errors. Without being able to observe one’ s own character correctly, you cannot perform higher level, if not perfect, analysis. — I see. I wonder why there are so many different analyses coming from each analyst. We had better to check carefully whether PC analyst can observe one’ s character not just through outside appearance. (Hana) I myself had confusion when I had the first PCA in the past. I couldn’ t help but to go to see another analyst to ask second opinion to find out what color I belonged to and the second analyst told me that I belong to a different season’ s group from the previous one. Well, which one was correct? I was confused a lot. 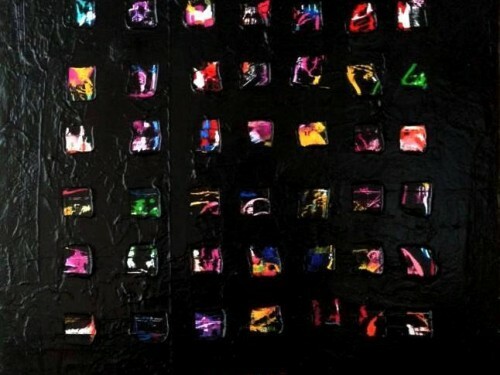 — Is there any occupational bias in personal color analysis? (Hana) Yes, there is. For example, for those whose season is “wild winter” seek for leadership and they are not good at being told by others to do the same old job. You had better to choose the job that is closer to your personal color characteristics. — PCA is a good tool to choose one’ s own occupation. There are those who blame oneself extremely when they have troubles in office. But if they have knowledge of PCA, they may be able to find other jobs which best-fit one’ s own personal color. (Hana) Amazingly, I can tell an affinity to each other and even predict they are about to live apart or not. I discover that there is compatibility between men and women, and other things, and I call it now “Personal Pairing.” A couple days ago, I had an opportunity to do PCA of children at kindergarten by the request of one mother who thinks PCA is useful to raise their children. To understand the combination of mother’ s personality and that of child is a key to success as to how to raise children in a better way. — So many children, so many colors. It is not easy to bring children up without making errors. (Hana) If you know your own children’ s personality through PCA, you can have a good command of raising your children. There are some who feel at ease and happy by living up to parent’ s expectation, others who content with what he or she wants to do independently, or those who would like to be exposed to others with a spot light on them. If you know their personality, you can communicate with them smoothly. What’ s more, it is no doubt that I can tell them in a better way if I know parent’ s personality perfectly. The combination of mother’ s and her child color personality is 12 seasons X 12 seasons, in total 144 ways. And what’ s more, women to women, men to men, men to women, parents to children….there are enormous combination of pairing. So if you know the best-fit combination out of it, you can find a clue as to how to make human relations smoother. Problems in the world, simply put, come from human relationship. So PCA will better serve anyone at office, school, family or men and women of all ages. 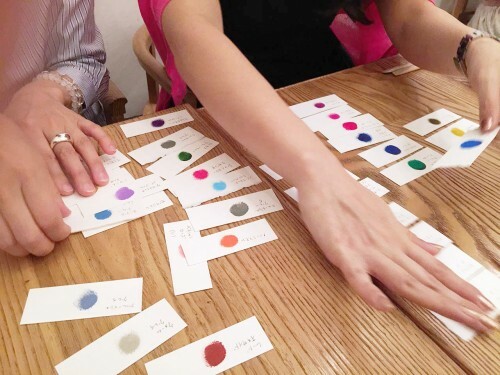 “Beautiful life adviser” which was coined for Ms.Kashima, she has been teaching science of color at several universities, other educational institutions and holds seminars for the general public. 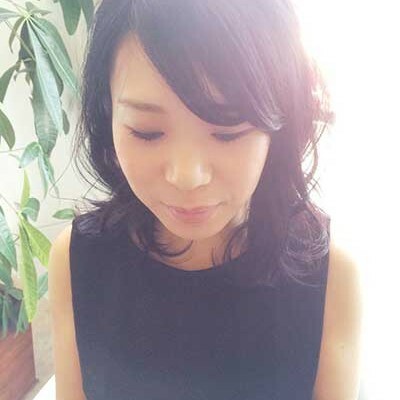 Also Hana has titles as color designer, coloring method of psychological analyst, nail specialist, flower designer…etc. When she began to study PCA, there was no high quality institution of PCA in Japan. So she went abroad to study PCA (Four seasons) in the U.S. When returned to Japan, she started researching and studying further color of science, 12 seasons PCA then has discovered her original method of PCA. 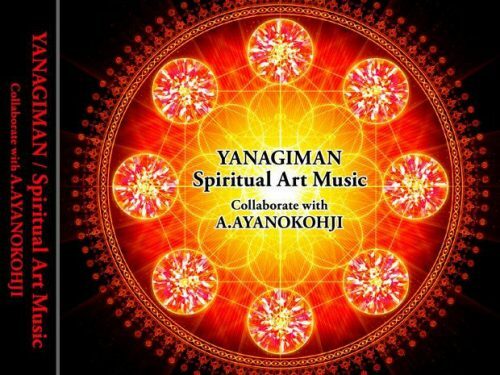 Those who have lessons from Hana say “ I can learn profound psychology, the change of appearance closer to my personal color, the way how to make a positive life from her. It is not just the study of outside appearance, but inner space of my mind! ” Her lectures gain a great popularity in Japan. 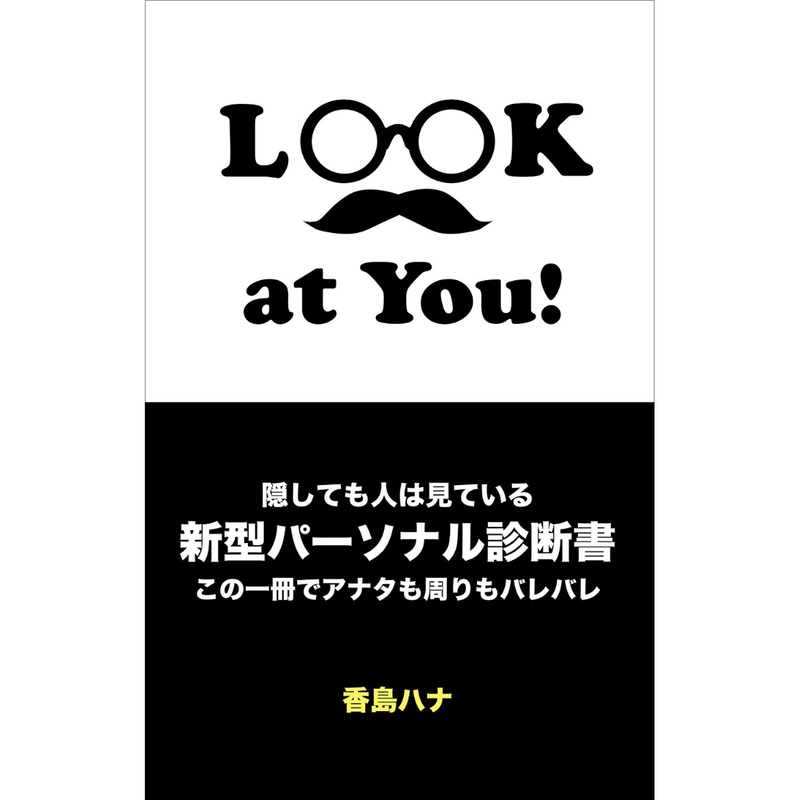 Hana’ s latest book “Look at You” (Kindle version) now on sale. You are always being stared at by someone else with or without knowing.